Keravnos Strovolou > NEWS > ΤΜΗΜΑΤΑ > ΓΥΝΑΙΚΕΣ > MVP στα δύσκολα! 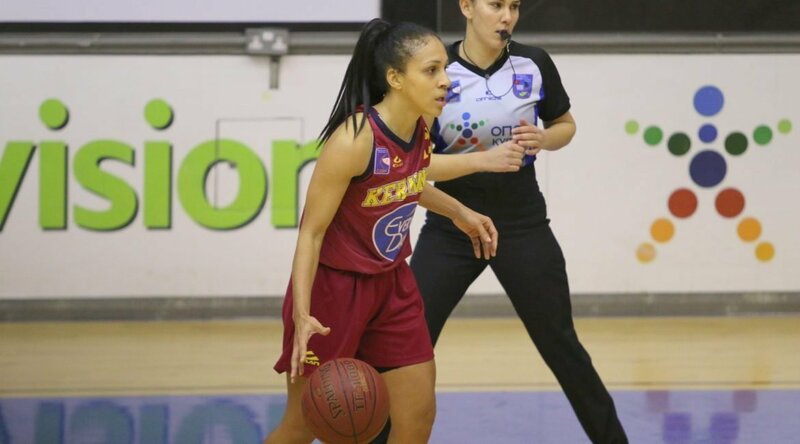 Avery is a player who combines quality and experience, “playing” for the second straight season at Cyprus championship and her performance is at a high level. The explosive guard, which has previously played in Panathinaikos, has a leading role in Keravnos, and she was by far the MVP in the difficult away double against APOEL at Lefkotheo. Niki scored 27 points with statistics for an Oscar (5/5 free shots, 5/10 two-point, 4/7 triples), as well as 6 rebounds and 5 assists. The energetic player, who has an average of 14.7 points, 4.9 rebounds and 4.5 assists in the championship, again composed a wonderful guard duo together with the captain, Andria Pitsillidou (13 points), while Sofia Theologou and Zoe Athanasiou fought close to the basket whilst all the remaining players at Strovolos team, remain loyal to their assigned roles.